Every day, thousands of businesses rely on contracts for successful company management. 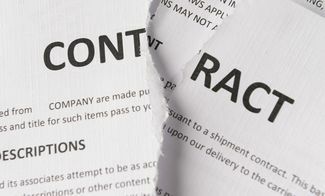 Commercial contract disputes occur when two or more parties disagree on the terms of a contract, which can severely affect the operation of your business. The attorneys at Richard Kutcher Tygier & Luminais, LLP in Metairie, LA, can represent clients with issues regarding contract negotiation, commercial litigation, and mediation, and will help you explore all of your legal options. In simple terms, a contract is an agreement between two parties that is legally enforceable. Each party pledges to do something in exchange for the promise given by the other party. Although there are a few exceptions, a contract does not always have to be in writing in order to be enforced, nor do many amendments. This is true even in many cases when an original contract states that amendments must be in writing. Our attorneys can help determine if the agreement in question is enforceable. What are Commercial Contract Disputes? Commercial contract disputes often arise due to a disagreement regarding the definition of terms. Many times, a term could be incomplete or reasonably have more than one meaning, making it ambiguous. Another type of dispute can occur if one party believes they never entered the contract in question. This often happens if details of the contracts are not clear to both parties due to extended negotiations. Additionally, a party can also intentionally interfere with contract formation. Specific Performance: Not frequently utilized in contracts other than real estate, this court order requires the negligible party to perform the promises set forth in the contract. Rescission: This type of compensation legally returns both parties to where they were before the contract was established. Any money or property exchanged is returned, and the contract is cancelled. Reformation: In the event that the parties had other intentions than what was provided in the contract, the terms can be changed to reflect what was actually performed. Because every circumstance is unique, it is important to schedule a consultation with an experienced attorney before any action is taken. We can help you determine the cost-effectiveness of full litigation, and help you decide if negotiation, mediation, or arbitration may be an appropriate alternative. If the breach of contract resulted in a significant loss, it is a wise choice to hire a contract disputes attorney to review proposed settlements in advance. If the case goes to trial, your lawyer will also be available to assist in litigation proceedings. Even if you choose to file a lawsuit without an attorney, a consultation can be extremely helpful in helping you finalize settlement documents. If you have suffered damages due to a breach of contract, schedule a consultation with one of the attorneys at Richard Kutcher Tygier & Luminais, LLP. We can help you determine the best course of legal action for your situation. Call our office at (504) 830-3838 or contact us online to schedule your appointment today.